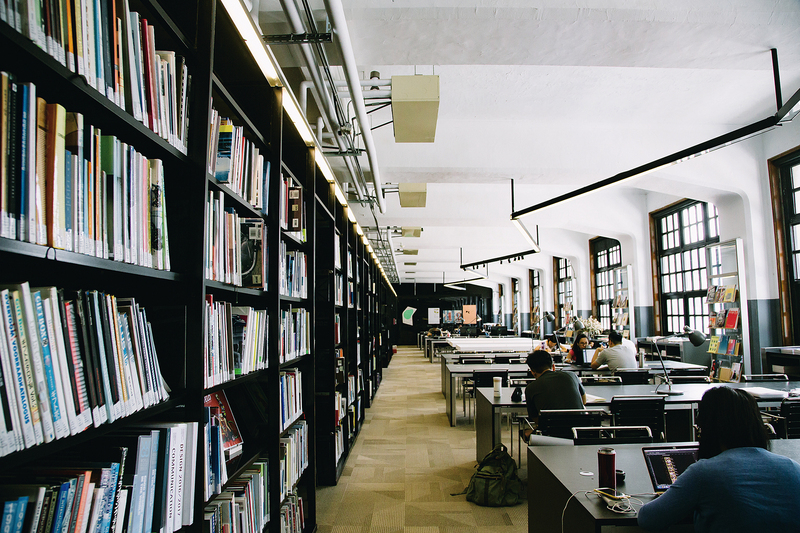 In an increasingly virtual age, there is still a need for bricks-and-mortar libraries. A 50-year flood of digital technology cannot wash away the 5000 years when books were the planet’s main receptacles of knowledge. People possess largely short-term memories that seem ever thinner and more fleeting. Fortunately, two physical spaces devoted to long-term memories are nestled within the city of Tai­pei. A visitor holds a phone in the air as if planning to take a photo, before quickly putting it back in his pocket. The place he is in already holds more than 2000 books of photo­graphs. What would be the point of taking any more? Pressing the shutter button would seem superfluous. The builders of this place simply had to be photo­graphy lovers, a fact that is apparent in its name: Lightbox. The space is as simple and bright as its appellation. From the large vocabulary related to photographic techniques, why choose “lightbox”? Founder Tsao Liang­-pin offers this thoughtful explanation: “A lightbox is a piece of equipment that is used to inspect negatives and slides. I hope that this space will have a certain sense of energy, like a box that emanates light, and that these books of photographs will allow lovers of photo­graphy to gain stimulation from crosspollination that creates mental fireworks. It ought to be suffused in joy.” Although all three items fall within the realm of the arts, a lightbox should be distinguished from a “white box” (an undecorated museum room) or a “black box” (a small and simple theater). 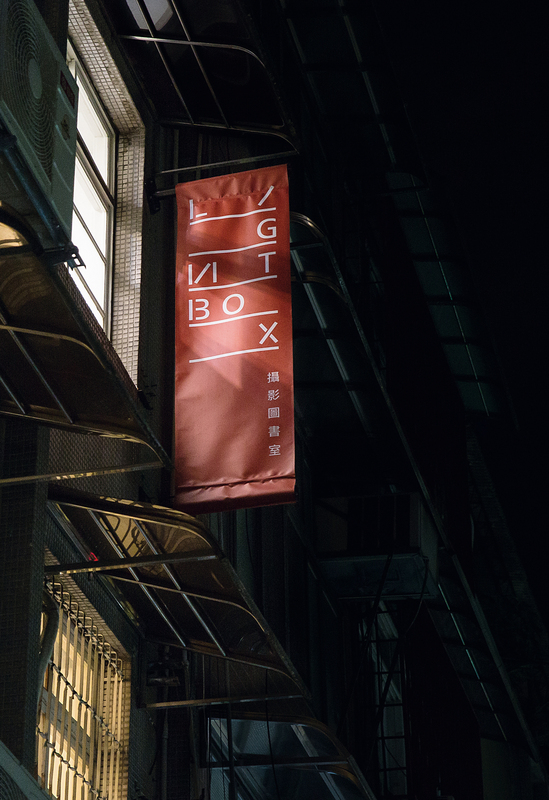 The founding of Lightbox stemmed from two of Tsao’s personal experiences. In 2014, his first photo­graphy collection was published thanks to financial support from the National Culture and Arts Foundation. After the book came out, he had the feeling of being on a journey and stopping half way. “Now what?” he thought. He began to consider potential meanings that his photo­graphs would hold for certain kinds of people and how to attract those persons’ interest. Then he took part in a research program on the history of photo­graphy in Taiwan sponsored by the National Taiwan Museum. Tsao first donated 400 volumes himself. That move attracted the notice of Professor Kuo Li-hsin of National Cheng­chi University, who packed his own collection into 24 boxes and personally delivered them to the library. It took staffers three months before they had sorted through them all. The Japanese quarterly IMA shipped by air three large boxes of photo magazines. When Tsao visited New York, the American documentary photography master Robert Frank gave him several outstanding volumes. 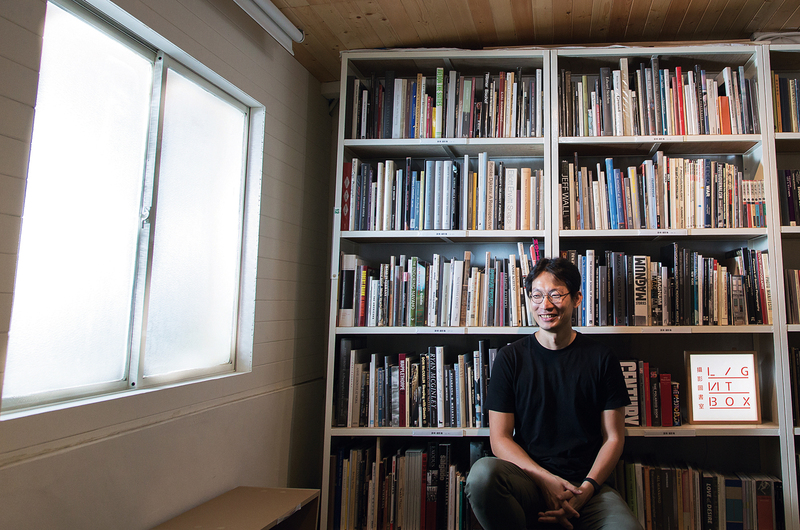 And when Tsao went to France on a cultural exchange program, he brought several dozen volumes by Taiwanese photo­graph­ers to give to government institutions there. Three months later, French counterparts sent a stack of documents to him, with a detailed list of their contents on top. Some readers who are members of fan clubs have called in asking if the library has a certain volume by this or that Japanese photo­grapher. When the answer is no, the callers have been known to place an order for the book, with the recipient’s address given as the library’s. Collections of photo­graphs comprise most of the books here. Books on the history of photo­graphy, photo­graphic criticism, photo­graphy periodicals, photo­graphic exhibition catalogs and so forth make up the rest. As far as Tsao is concerned, the “crowdfunding” process is a particularly intriguing way of building the collection. So far, 190 donors have provided books. 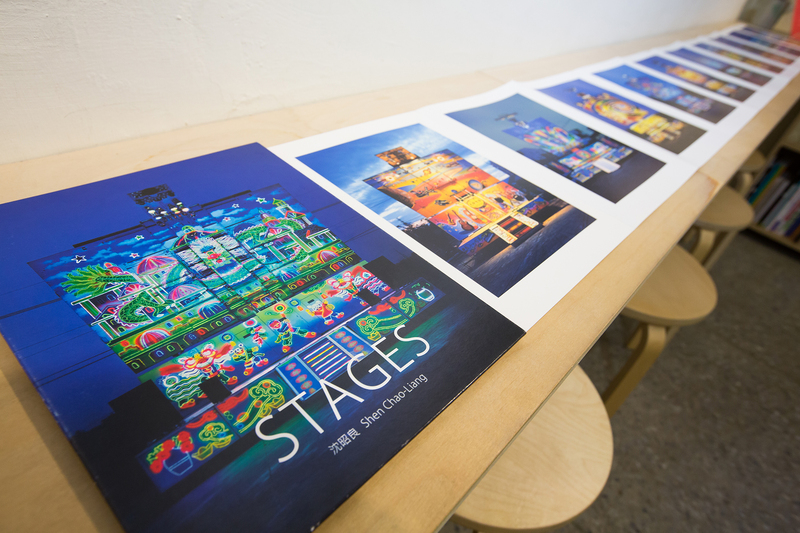 In this manner, Lightbox can keep in contact with the various quarters of Taiwan’s photographic community and gain an understanding about their concerns and interests regarding contemporary photography. While social interest organizations can easily attract groups of likeminded individuals, they can’t help but also engender a sense of barriers and divisions. “We hope to be professional without becoming exclusionary. We want the group to expand by drawing in people from different realms. 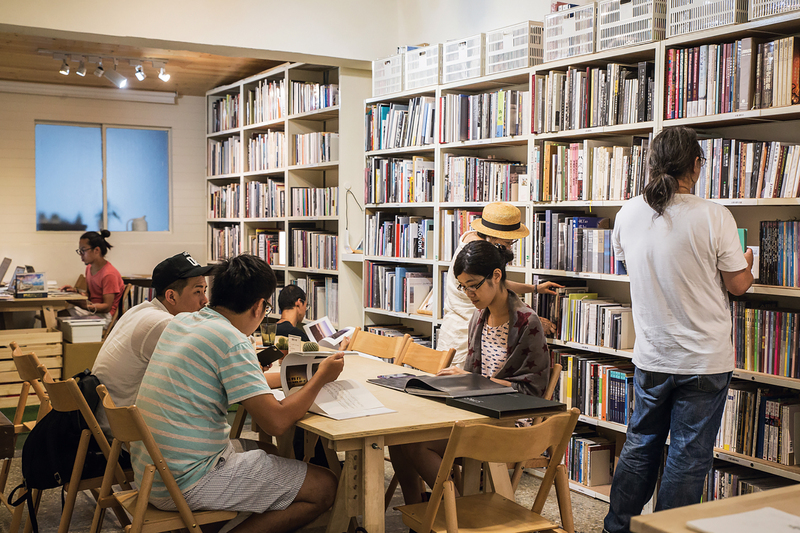 It’s very important to us.” Apart from the exchange of books, Lightbox also invites foreigners working in the field of photo­graphy to come to Taiwan and hold workshops here. The aim is to spur conversations between local and foreign photo­graphy communities. In On Photo­graphy, the renowned American arts critic Susan Sontag noted that book collections provide the most impactful method of arranging photo­graphs and that they also ensure that the photo­graphs live on. Although the book industry is in decline and the future of photo­graphy doesn’t look too bright either, there is the expectation that Lightbox can gather energy from within the field of photo­graphy and focus on the value of photo­graphy for Taiwan, so that the culture of photo­graphy here will gain a sense of self-awareness and self-determina­tion, and will continue to shine in the years ahead. Upon entering, one immediately notices that Not Just Library somehow filters out all the hubbub from the Song­shan Cultural and Creative Park outside. 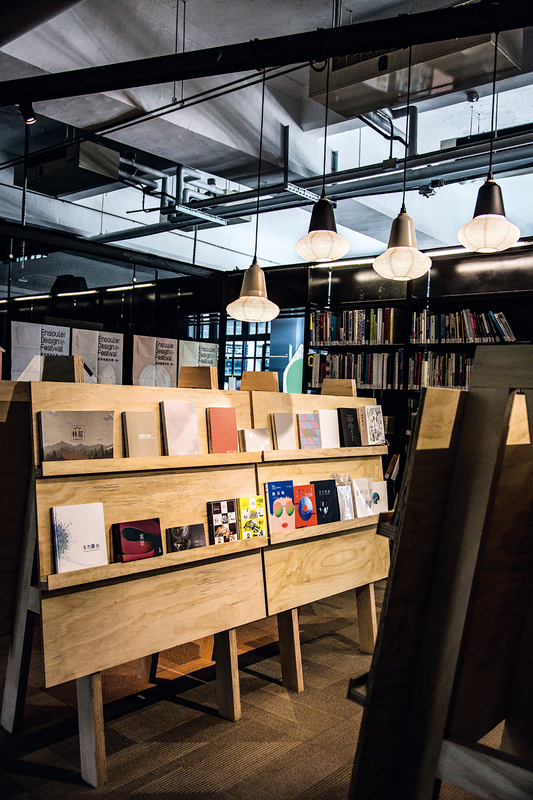 The latticed windows provide warm light, and the black metal bookshelves offer a calm and cool ambience. Although the many available magazines cover all the latest trends, time moves slowly here. Apart from the books about design, which fill the space, there is also a small three-meters-square exhibition space, which is used to hold lectures, concerts and swing dances…. There are more than 30,000 volumes in Not Just Library’s collection, including works related to graphic design, industrial design, architecture, fashion, and arts and crafts, as well as over 100 domestic and foreign periodicals. Each year’s additions to the collection are calibrated to meet changing needs. This year many domestic and foreign periodicals have been added, with an emphasis on those of a non-commercial nature. Regarding the question of how to select books, the current director, Leslie Liu, apart from paying attention to design trends and taking suggestions from publishers and agents, also keeps an eye on independent bookstores. With the Internet so well developed in modern society, why still read books at all? When it’s so easy to get information about design, why make a trip to the library? Leslie Liu cites three reasons: First, in an age of information overload, there is an even greater need for books—since amid the oceans of information, so much has been copied and pasted or is otherwise redundant. 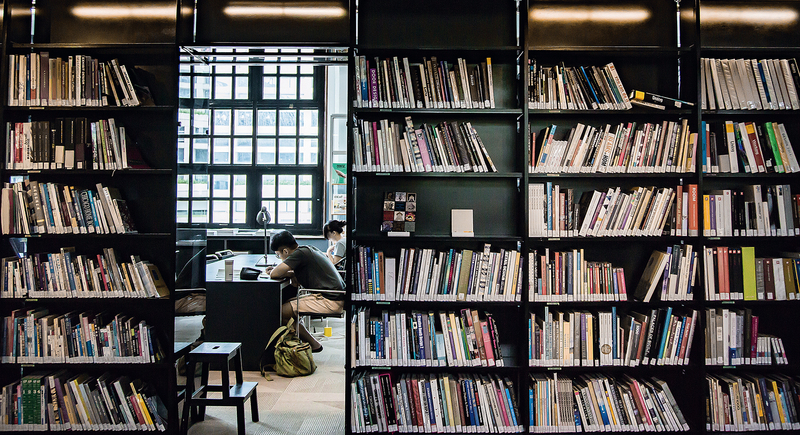 The library is more than a space; it is also a medium. 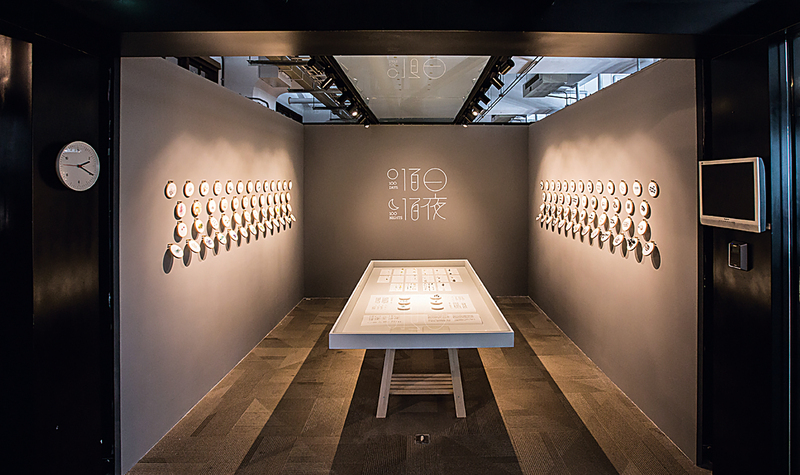 When holding exhibitions, its curatorial themes are all related to some form of design. The goal is to get the public to become interested in its collections. Take, for instance, the embroidery show recently held in the 3 x 3-meter exhibition space. It attracted people who were interested in fashion or sculpture to come into the library and find related books. 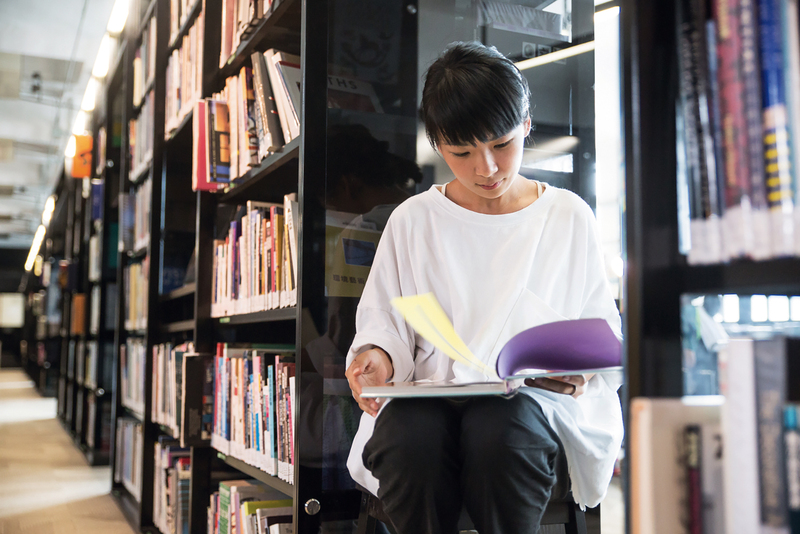 When the library considers which designers to invite for exhibits, it leans toward those who are highly experimental, with ideas that are not fully mature: “Otherwise, they’re better suited for an exhibition at the design museum,” says Liu with a laugh. This is an arena where creativity of any kind can happen. They are subverting the traditional conception of a library. 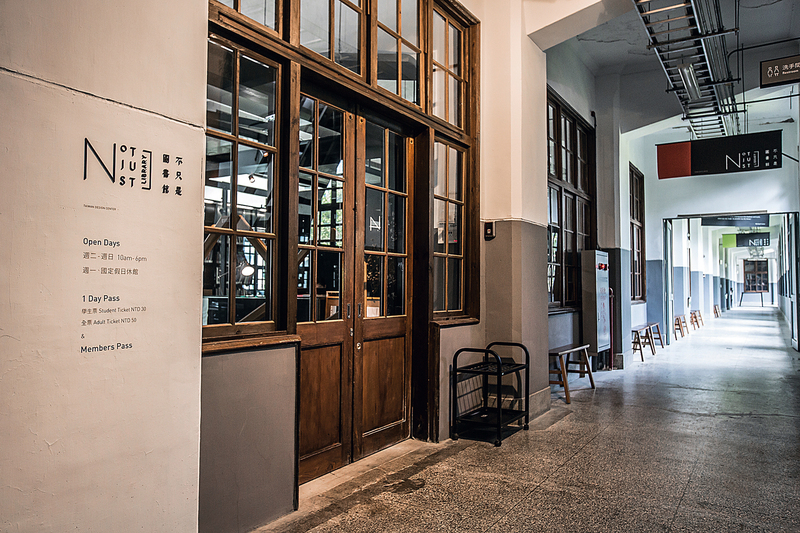 With the goal of bringing greater functional integration, the library is being moved in September from the second floor on the north side of the old tobacco factory in the Song­shan Cultural and Creative Park to the Taiwan Design Museum on the first floor. After finishing at the museum, visitors can go to the library to check out related books. The new space represents a departure from the original venue’s industrial style. Don’t miss the opportunity to see for yourself the makeover in store for this old Tai­pei friend.